MsDora grew up, received early education and taught school in the Caribbean. Read her love and pride of the region - people and place. Like all good Christians, Caribbean people worship God in Christmas services and celebrate Jesus as the joyful reason for the season. They also engage in secular festivities in keeping with their cheerful, ready-to-laugh temperament. The following excerpts from lyrics by Caribbean singer/song writers are from the secular part of their celebration. The common theme is contentment, and pride in what is distinctly Caribbean. The complete songs are all available on YouTube. Everybody sings There’s No Place Like Home for the Holidays written by Al Stillman (lyrics) and Robert Allen (music). 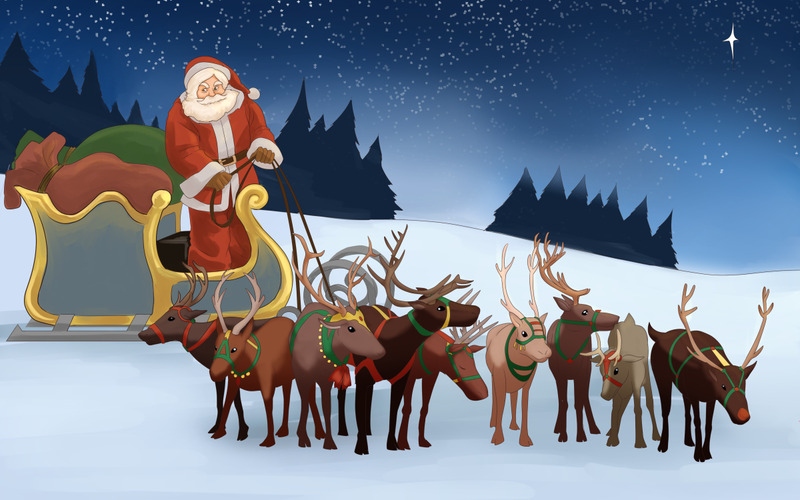 Although Christmas is not mentioned in the lyrics, the song is listed among the greatest Christmas songs; and in the media, its visual settings display snow and Christmas lights around the house. So would Caribbean folks want to sing this song? The Mighty Sparrow (born Slinger Francisco), the Trinidadian Calypso King of the World fixed it so that they would. Thanks to Sparrow, the Caribbean people sing their own version. And some homemade pumpkin pie. To a lovely moonlight picnic, man, the traffic is terrific. *The locations in Sparrow's version are all on the island of Trinidad. The last line suggests the picnic-friendly weather which Caribbean islanders enjoy even at Christmastime. (2) Why Didn't Santa Come for Christmas? The Sugar Mill Kids** from the Federation of St. Kitts and Nevis sing the dilemma of many island children who long for toys but receive none, or not as many as they would like. Their parents may give them the excuse that Santa did not come. The disappointment does not last very long, for they soon begin to laugh at their plight -- and at Santa. Why didn’t Santa come for Christmas? Why didn’t he ever pass our way? 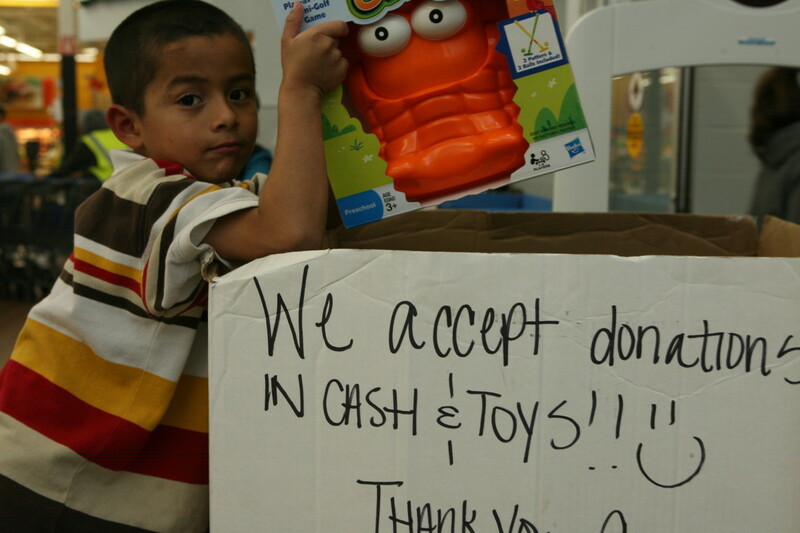 We the poorest ones ain’t getting none. For he’s so fat he must be ill from high cholesterol. **Their names are not mentioned. 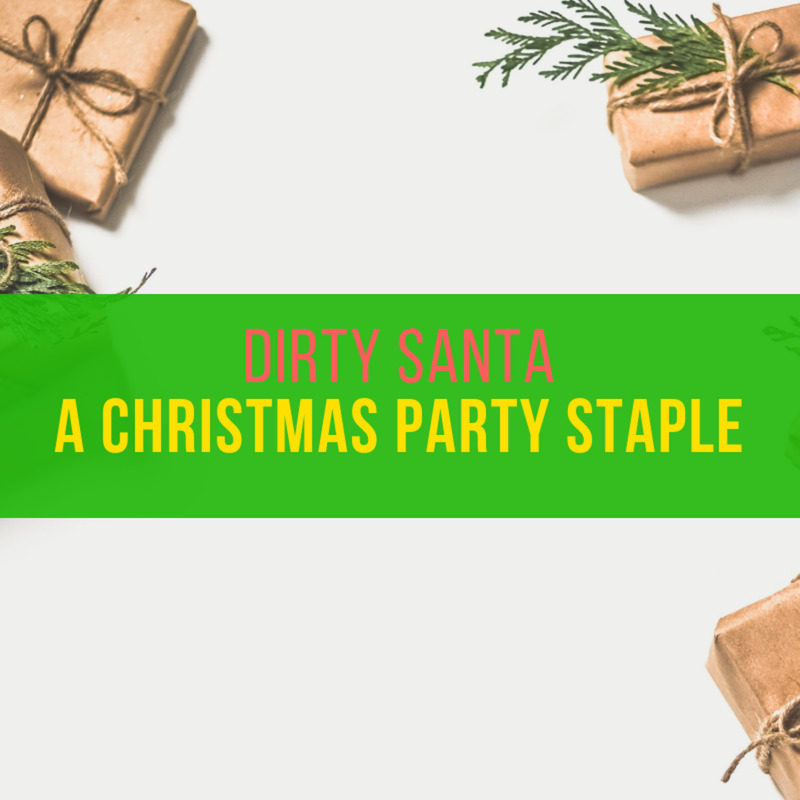 Apparently, Mrs. Claus has never made it to the Caribbean, so Bindley Benjamin of Trinidad and Tobago is rooting for Santa to find a wife who can help him with his universal task. Where would he find a suitable wife? Here is the singer's suggestion. And he know the best woman [is] from de Caribbean. So much ah nice woman throughout de Caribbean. Refrain: Santa looking for a wife (from the Caribbean). 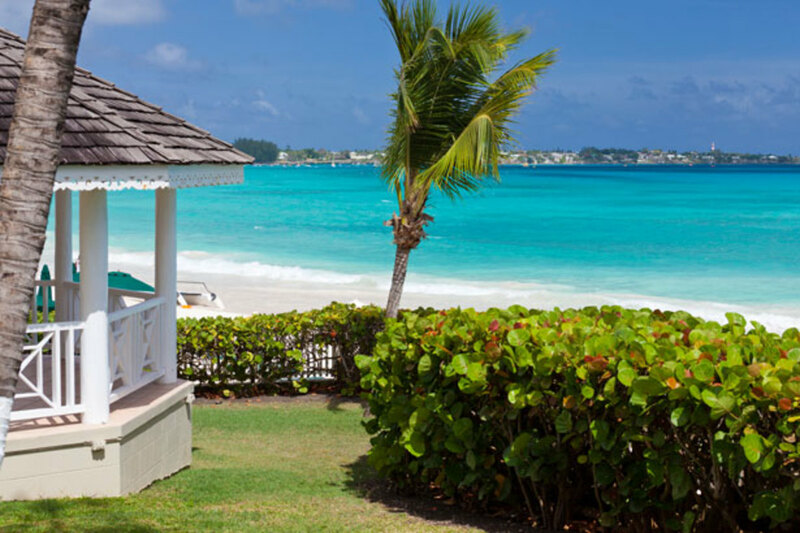 (4) How'd You Like to Spend Christmas on a Caribbean Island? Without the cold of winter, there is no meed for the fireplace mantle and the chimney. So where would Caribbean people hang their stockings? And where would Santa enter? The Merrymen of Barbados is a musical group which started in 1962 and continues to the present with great popularity in Barbados, the United Kingdom and Canada. They figured out the chimney substitute in their Caribbean imagination. How'd you like to spend Christmas on a Caribbean island? How'd you like to spend a holiday across the sea? 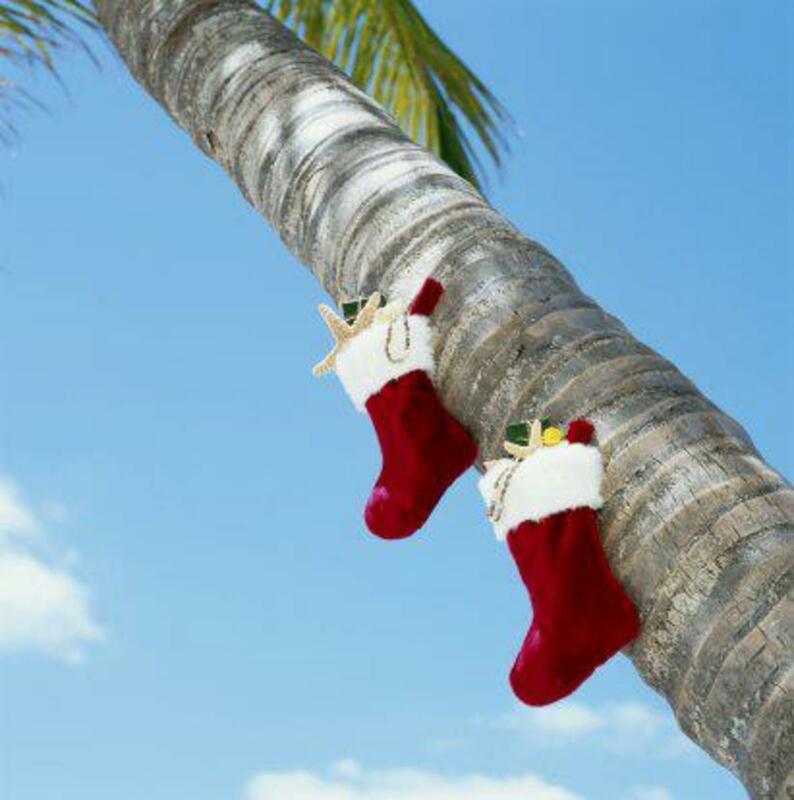 How'd you like to hang your stocking on a great, big coconut tree? How'd you like to stay out late like the islanders do? Or wait for Santa to sail in with your presents in a canoe? Caribbean Christmas dinners are not complete without black cake on the menu. Amanda Marstellar on Honest Cooking describes it as "a richly-hued improvement on standard fruitcake, sticky with rum-soaked fruit and scented with island spices." She shares the recipe and some interesting details about the popular Caribbean dessert. Sugar Aloes (born Michael Anthony Osuana) also a prominent calypsonian from Trinidad and Tobago, sings about his desire for black cake and the drinks that are usually served with it at Christmas. His lyrics state that black cake with a glass of sorrel on Christmas morning makes Christmas delightful and bright. Ah find it does be too dry . . .
And give you dat Yuletide feelin; you know what I’m talking bout. It’s de fruit cake a want wid sorrel or ginger beer. Jamaicans, probably the most popular group of Caribbean people, consider themselves the representatives for the region, and in these lyrics they earn the title. Most Caribbeans would nod their approval for the sentiments expressed by their Unique Vision Band. Names of the individuals are not available, but the men can be seen on the accompanying video. Here, they also represent the region in sound. What I know for sure--it's mighty cold. In or out of form, I would be bowled. Their invitation to "Come on over" is not only Jamaican; it is Caribbean. If you ever pack your bags and fly to a Caribbean Christmas, you will find that the lyrics are true. Merry Christmas, Dear Reader. So sorry that I cannot help with finding that song. I tried. Still hoping that you locate it. Alun, sorry you can't remember your Trinidadian year, but you can make up for it by spending a year now or in the future. Caribbean people do keep healthy by laughing at themselves--at Christmas time especially. Without wishing to sound patronising, there's something gently charming about Caribbean humour and the way it seems West Indians are happy to poke fun at themselves. It goes with the laid-back Caribbean lifestyle. Toya, there are many Caribbean people in London. Hope there are some in your area and you can hear their Chritmas lyrics. Merry Christmas. Merry Christmas to you too, Flourish. The Caribbean black cake is an entirely different product from the American fruit cake. The texture is puddingy and moist; no hard pieces of fruit, since the fruit is soaked for weeks/months and dissolved. It's a must-have at Christmas and other celebratory events. I enjoyed learning a bit about Christmas in your part of the world. Never heard about black cake. (I have never met anyone who truly enjoys fruit cake so I bet there would be some interest here as well.) Merry Christmas! Robert, I appreciate comment. Glad you found the article useful. Merry Christmas! Thank you. I enjoyed reading your Hub and listening to the videos. I have an interest in regional Christmas songs. Jo, you can never forget the Caribbean Christmas. Glad to remind you! Good luck with the black cake and a very Merry Christmas to you and family. MsDora, you've left me feeling quite nostalgic. A roaring bonfire on the beach, bare feet in the sand, after a few glasses of the local rum punch the sand may as well be snow. A Caribbean Christmas is different, but very special in its own way. Have a very happy Caribbean Christmas. I'm now going to look for a scrumptious black cake recipe. Deb, there'll be new species of birds and you will enjoy the islands. Merry Christmas! I could only imagine me and the birds in your part of the world. I just might never go back to the mainlands. Thanks Vellur, meeting you is a pleasure. Yes, Caribbean singer/song-writers have no shortage of the skills of the trade. Thanks for your comment and Happy Christmas again! Enjoyed the read, the lyrics showcase the creativity of the singers. Taking this opportunity to wish you a Merry Christmas! Frank, you would enjoy the black cake. Merry Christmas to you and family. Thanks, Shauna. You know that Florida is the nearer than other states to the Caribbean. You're getting close or as they say "You're getting warm." Merry Christmas to you and yours! What fun, Dora! I remember my first Christmas in Florida. I thought it so odd to be celebrating in shorts and warm weather. Now, I'm used to it. Christmas is all about the spirit, not snow. After all, there was no snow in Jerusalem when Christ was born, was there? I really enjoyed a peek at Christmas Caribbean style. Love the music! Marie, happy Christmas to you. Yes, this is a fun time of year in the Caribbean. Wish you could experience it some time. Thanks for the comment. Michael, thanks for stressing the possibility of Christmas all year round. Christ is relevant any time of year. Great joy to you and yours during the season and for all times. Sounds like it would be so much fun to spend Christmas in the Caribbean. Happy Holidays to you! No more constraints for 'christmas' celebration absolutely, decidedly any time. Thanks for letting us know the Caribbean's unique tradition. It is wonderful when the people find ''...great joy"... - as the angel has announced the Birth of Christ the Lord -" ...that will be for all the people...'' Once we have Christ in our heart, christmas celebration lasts a year around. Devika, thanks for weighing in. Merry Christmas to you and yours! ''There is no place better than home for the holidays.'' A beautiful hub and so interesting for this season. Thanks Swalia. Glad you enjoy the Christmas merriment. Venkatachari, you're right about Caribbeans playing cricket. They play against India all the time--but not at Christmas, I think. Thanks for your encouraging comment. Whonu, I appreciate your very positive comment. Merry Christmas to you and yours! A delightful read celebrating the festive spirit! Very much entertaining and cheerful Christmas songs. And I love the Caribbean's playing cricket. They have always been superb at it. Thanks for sharing this cheerful hub. Merry Christmas to you. This is such a cheerful and fun hub, MsDora. I love the sound of black cake! Thank you for sharing all the song lyrics. I hope you have a very happy Christmas. True, Denise. We tend to think that everybody does what we do. Thanks for your comment and a Happy Christmas to you and family. What fun to learn about Christmas in the Caribbean! We don't realize the cultural nuances in our celebratory songs until we hear it from another point of view. Thanks, Nell. 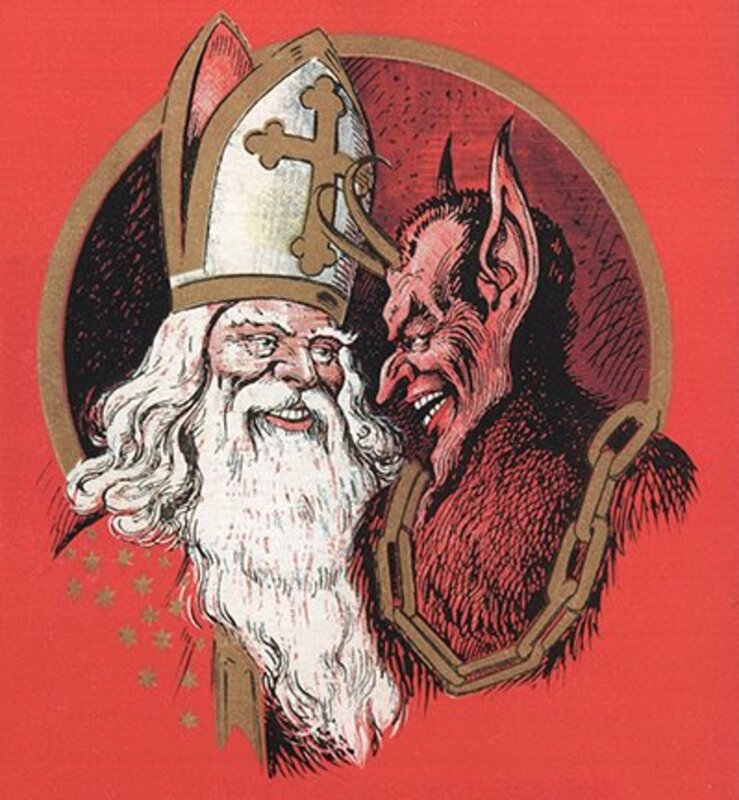 A really happy Christmas also to you and yours, and a prosperous New Year! Oh how I wish I could come across and stay there for Christmas! how lovely! what a lovely hub MsDora! I hope you have a wonderful Christmas! Thanks for the feed back, Telca. Great news about the cakes and puddings. Christmas is not Caribbean Christmas without them. Please tell everyone that Reign of Elegance "Celebrating Moms" will be making the special Caribbean Cakes & Sweet Potato Puddings. A treat that you cannot afford to miss! we will send you the poster later today! Manatita, I bet you like the Mighty Sparrow too. Thanks for your very kind comment. I didn't want readers to feel that the Caribbean Christmas is all about carnival and calypsos; I felt the need to let them know that we have Christmas worship services as well. Bill, glad you like the Caribbean Christmas. Merry Christmas to you and yours! Thanks, Eric. Great tidings of joy and cheer to you and your household. Merry Christmas! You're welcome, Jackie. I don't miss the snow either, but I wish for lower temperatures. However, in the spirit of the season, I'm grateful and cheerful. Happy Christmas to you, too. I see you like the Mighty Sparrow. Excellent Hub! Thanks for a Christmas tour of the Islands. It was very entertaining and educational. Enjoyed it much! Well this hub is refreshing and fun. I can just feel the warmth of holiday cheer. It is always good to remember this is a time of good cheer and celebration and the big let go. 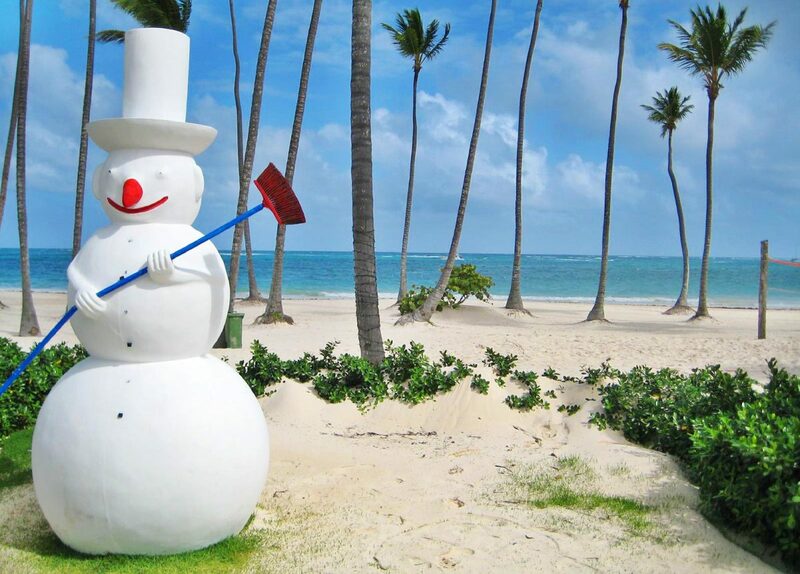 A Caribbean Christmas does sound fun and I am sure I would not miss the snow at all. Not that we always get some and then not much if so but sun and fun sound better! Thanks for the little visit and may you have a very Merry Christmas! Thanks Word. Over there, over here, we're all about cheer. Glad we reached you. Very nice holiday hub Dora, the lyrics and music were very enjoyable and spreading good cheer even all the way over here! Don't be biased, Bill. Christmas on any island would be fun (smile). Thanks for your feedback. Reynold, you would love the cake too, with sorrel or ginger beer. Thanks for your feedback. Denise, it's that time. Go right and start your decorating. We're doing the same thing here. Thanks, Jodah. You would enjoy Christmas in the Caribbean, I promise. Seems we have many things here that you like. Happy Christmas also, to you and your household. Lot of fascinating ways to look at Christmas in your part of the world. I'll have a slice of black cake please.!!! I never heard these songs before. Very clever. Thanks for sharing. You are putting me in the mood to get out my music and lights and decorate! A delightful Christmas hub MsDora. I can feel the cheerful welcoming atmothsphere of the Caribbean in your writing and the lyrics of the songs. I would love to visit one day and I am sure I would feel right at home at Christmas time as I can relate to the snow man on the beach. We'd build a sandman here. Jimmy Buffet is one of my favourite singers..his laid back and fun loving lyrics. Of course I always loved reggae music too and the great Bob Marley. Thank you for sharing these new Christmas songs that I was not familiar with. Well done. Wishing you a great Caribbean Christmas.